Roughly 130 miles southeast of Cape Cod, where the continental shelf drops into the inky, black abyss below, stands the Northeast Canyons and Seamounts Marine National Monument. It protects three massive undersea canyons, some deeper than the Grand Canyon, four underwater mountains, and an untold number of marine animals. These mountains rise as high as 7,000 feet above the ocean floor—that’s taller than the highest peaks in the White Mountains. It’s higher than anything east of the Rockies. The monument is home to animals and habitat types not found in any other marine sanctuary, national park, or U.S. monument. It’s home to many rare and endangered creatures. New species are discovered with each expedition. 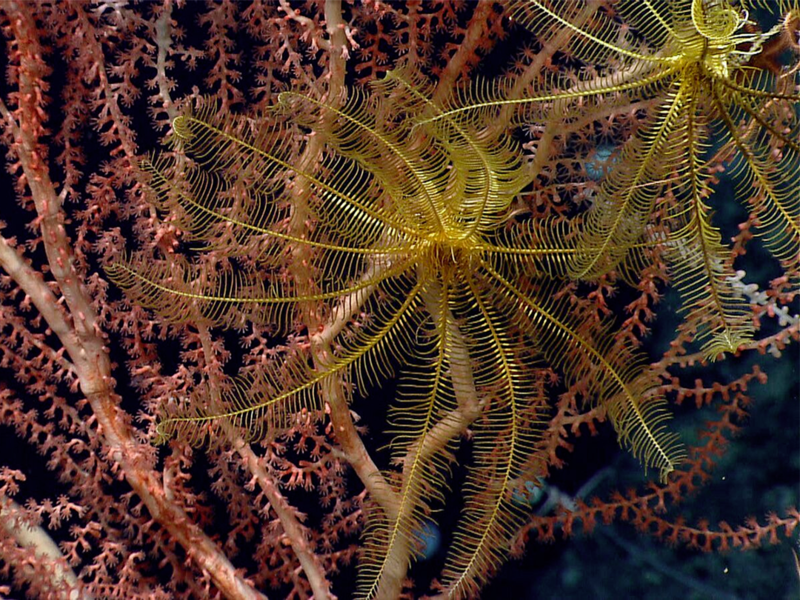 The New England Aquarium unequivocally supports the designation of the Northeast Canyons and Seamounts Marine National Monument and opposes any efforts to minimize protections for this ecologically important area. Americans live our lives around the pull of the oceans. And nowhere is that more true than in New England. Along New England’s coast, we make our living from the ocean, plan vacations to enjoy the ocean, and understand that our economic fate is closely tied to a healthy ocean. 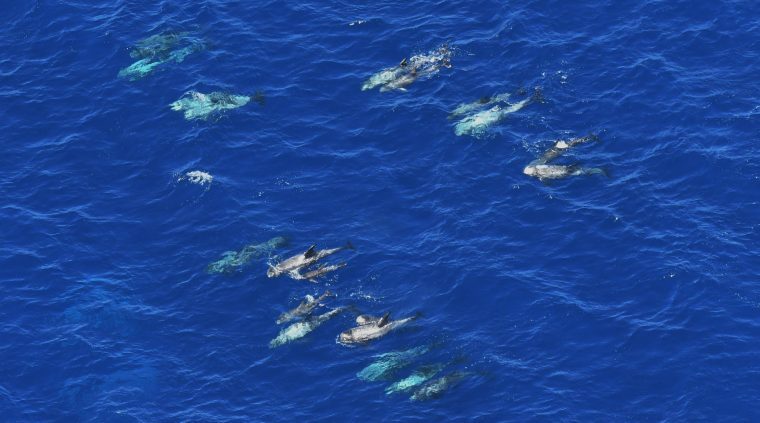 This is why we worked to create the Northeast Canyons and Seamounts Marine National Monument two years ago. History showed us that we needed to take a longer view and care for our ocean resources if we wanted to bestow this rich heritage on our children. And science told us a national monument was the best way to do this, setting up an oasis off our shores. Sometimes called the “Serengeti of the sea,” this blue park features more than 100 species of corals and comprises nine different ecosystems. We know this thanks to decades of work from scientists at the New England Aquarium and Mystic Aquarium, and colleagues at partner institutions. 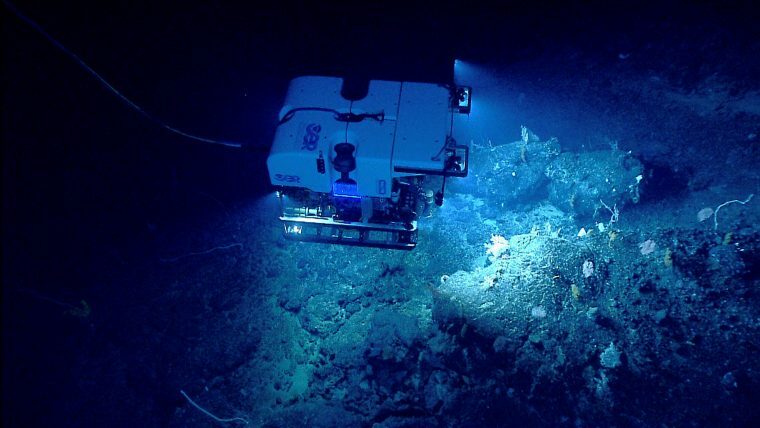 During the Northeast U.S. Canyons Expedition 2013, ROV Deep Discoverer investigated Mytilus Seamount. Corals were diverse on Mytilus Seamount. 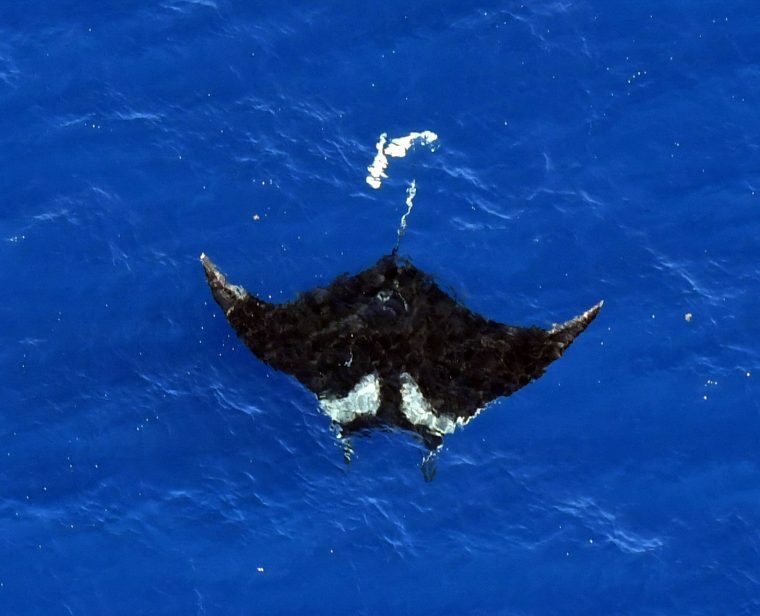 Credit: NOAA Office of Ocean Exploration and Research. 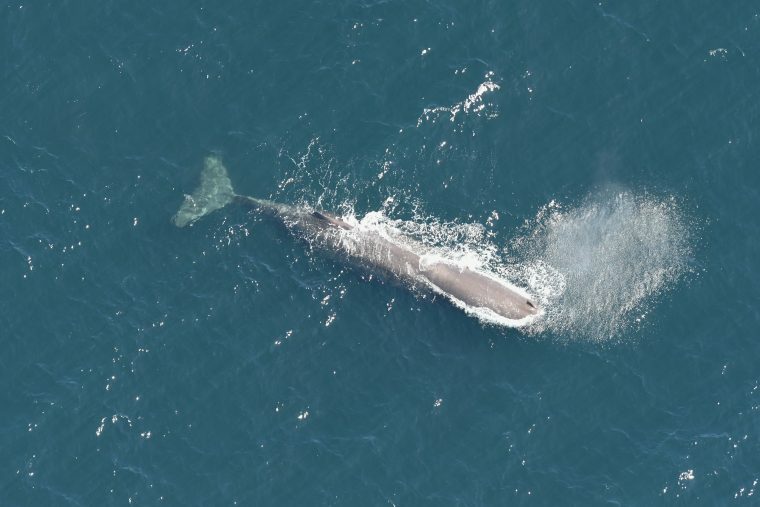 A sperm whale (Physeter macrocephalus) swims in the monument in April 2018. 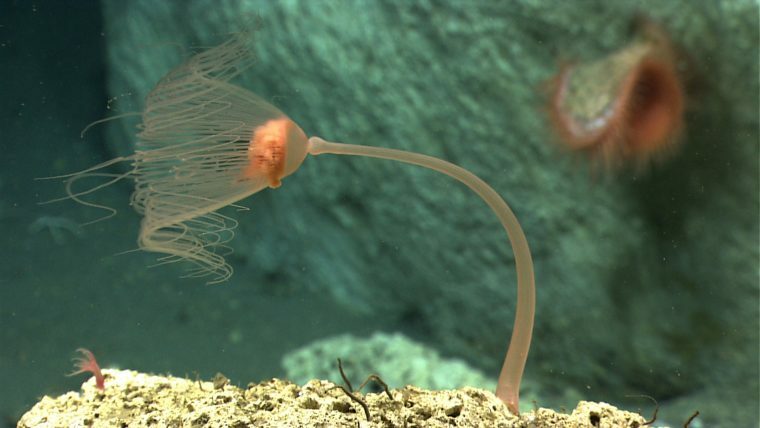 Close-up of a sea pen colony at 2023 meters depth on Retriever Seamount. Credit: NOAA Office of Exploration and Research. 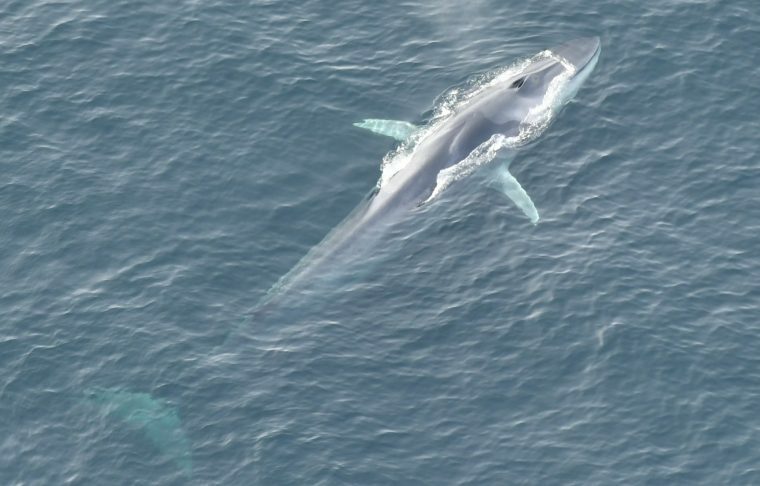 Fin whale (Balaenoptera physalus) swimming at the surface. Captured during a 2017 aerial survey of the Monument. Benthic cnidarians come in all different shapes and sizes. 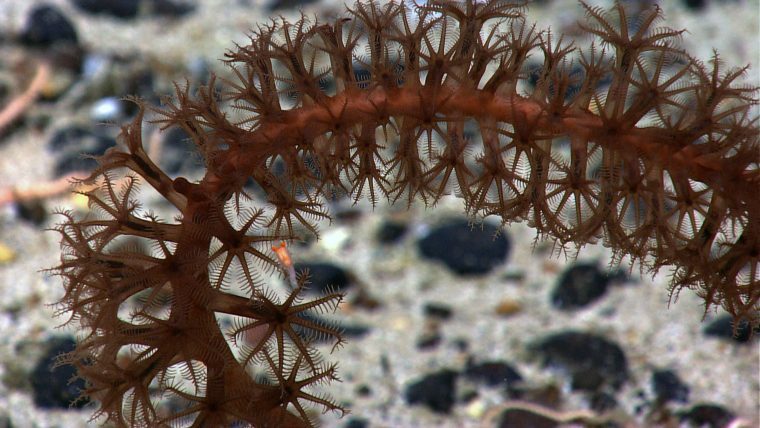 Pictured here is a small Anthomastus octocoral (left), a solitary hydroid (center), and a flytrap anemone (background on the right). 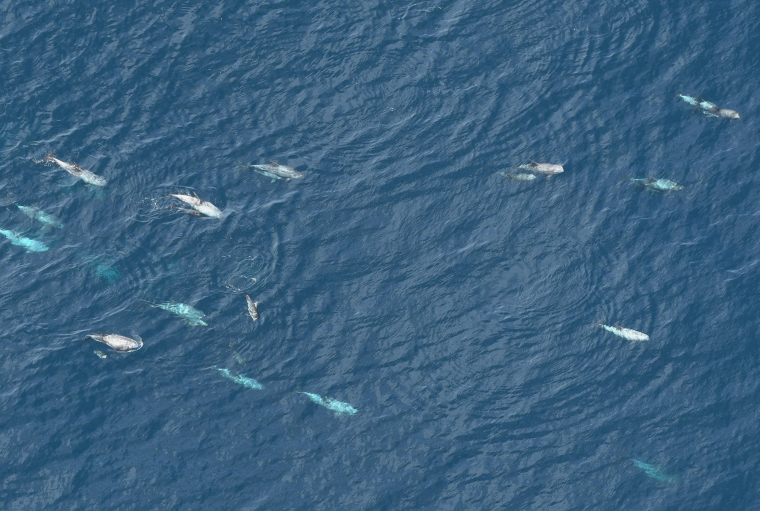 A group of eight Risso's dolphins (Grampus griseus). As they age, the grey, pale-bellied adult Risso’s dolphins accumulate scars from tussles with prey and other whales that can make them appear almost entirely white. 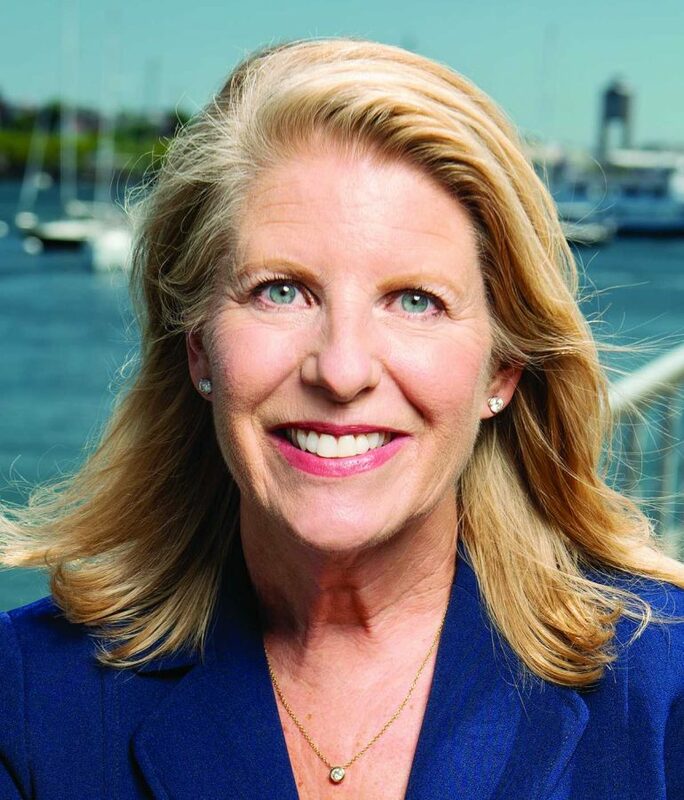 Photo Credit: Ester Quintana/Anderson Cabot Center/NEAQ. 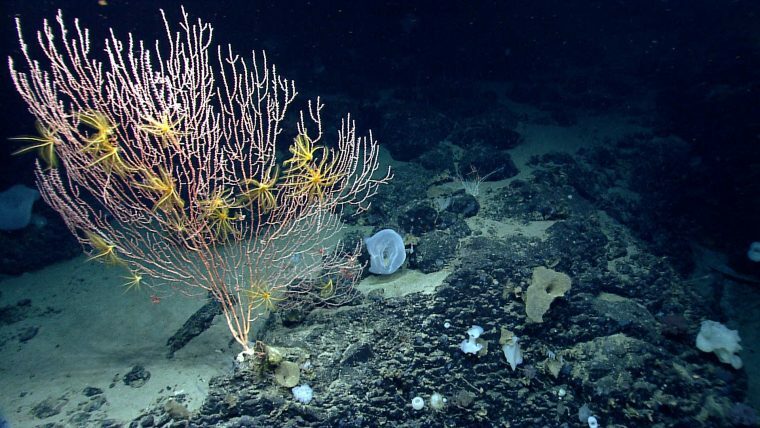 At the moment, the monument is still the most strongly protected area in U.S. Atlantic waters. But the Trump Administration wants to rollback protections—taking a giant step backward. In 2017, Secretary of the Interior Ryan Zinke recommended that President Trump weaken the Monument’s protections, leaving the area vulnerable to damaging extractive industries that want to raid this protected region for their own gains. 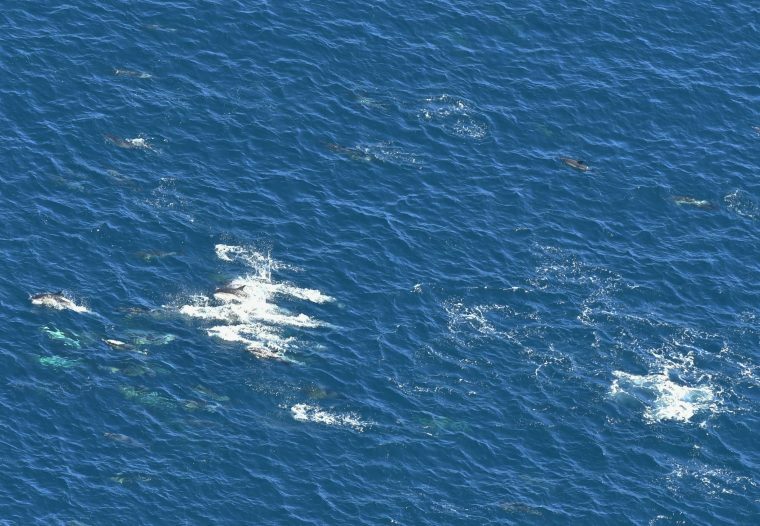 Our aerial survey team was amazed by the sheer abundance and diversity of large marine wildlife in the latest aerial survey of the Northeast Canyons and Seamounts Marine National Monument. 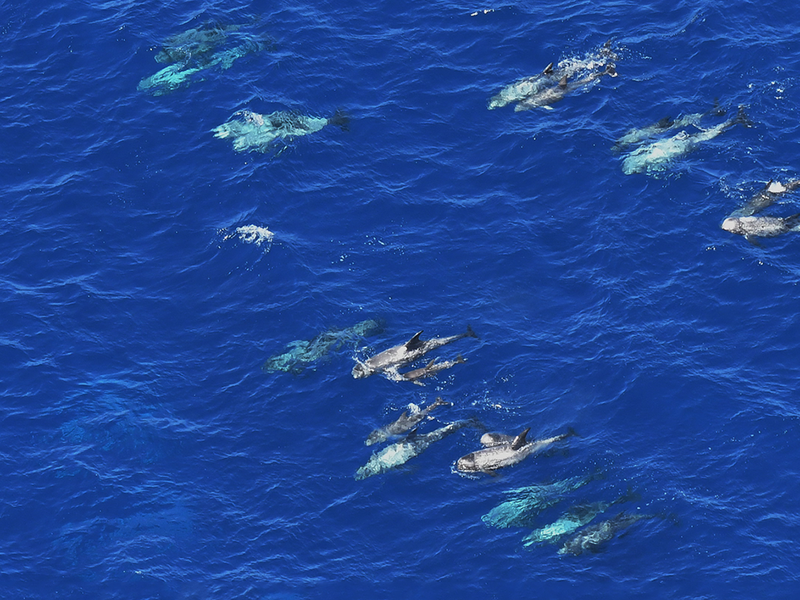 The team documented more than 600 animal sightings in just four hours, including a “superpod” of about 250 common dolphins and a rare sighting of a giant manta ray.